It’s time to stop hoping for change. We can create it. For the month of October, we invite you to make a pledge to Wichita. Is it only those with money, a business or an organization? Is it only the elected, the heads of committees or the hometown heroes? One of the beautiful things about Wichita is that it’s relatively easy to make a difference. Almost everyone knows someone who knows someone else, and that someone else could bring an idea to life. It’s why some have taken to calling Wichita the "Opportunity Capital." But are we fully taking advantage of this opportunity? In his latest presentation, James Chung noted that we are behind the nation and our peer cities in startup funding, attracting and retaining new residents and even investing in our community foundation. He says a critical mass is how we can move forward. That means we need more people with more ideas and more actions — not necessarily to catch up to these other peer cities but to find the factors that would make Wichita uniquely successful. As author and business guru Seth Godin says in the opening of his book, Poke the Box, "The job isn’t to catch up to the status quo; the job is to invent the status quo." But knowing where to start can be daunting. 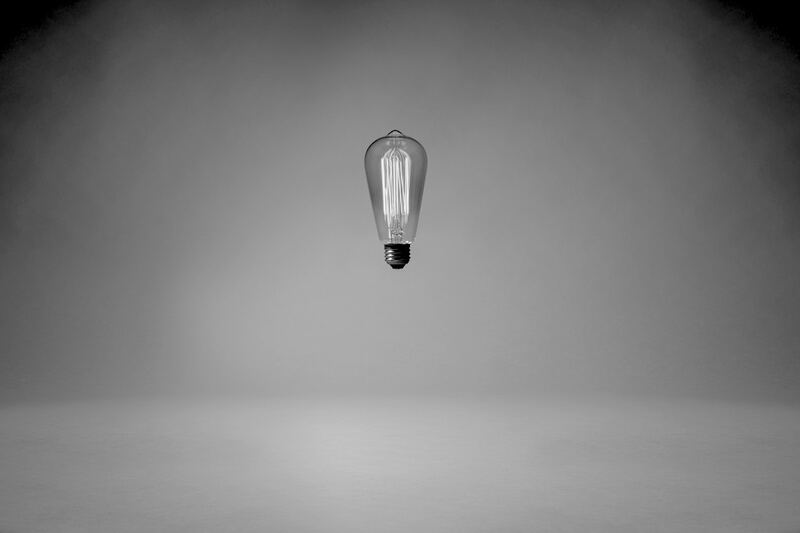 What qualifies as a great idea? And where can an idea go to get fuel and finally become an action? We laid out a few steps to get you thinking about how you can take ownership of the Wichita of tomorrow. Ownership starts with becoming informed. The more data you have about what’s going on in Wichita, the better. Then, if you see something you don’t like, you can seek to change it. If you see something you do like, you can seek to make more of it happen. As Godin writes in Poke the Box, "Ownership comes from understanding and from having the power to make things happen." That means being informed about what this city needs and creating the connections to meet those needs. Being informed could be as simple as subscribing to the Wichita Eagle or the Wichita Business Journal — or participating in KMUW‘s Engage ICT: Democracy on Tap series. You could also subscribe to The Chung Report newsletter. Another way to get informed is to get out there in the community and talk with people who live and breathe these challenges every day. Go to a City Council meeting or visit a 1 Million Cups meeting. Stay plugged in with the Wichita Chamber of Commerce. Ultimately, it’s up to you to be in the know and ready to make a difference. Of course, these steps could also be taken on a more local level — in your own corner of the city. Maybe you join your local neighborhood association, your District Advisory Board or simply get to know your neighbors and the challenges they face. Once you’re informed, you need to create connections — and find out where you fit into a potential solution. This could be as simple as getting plugged into organizations like Startup Wichita to learn more about the people involved in moving Wichita’s entrepreneurship community forward. Or you could connect with people at Startup Grind or Shift ICT. You could also simply research the topics you’re interested in to develop your own opinions and thoughts about how we could move forward. As you think through potential ideas, you may be tempted to ask yourself, "Would this work in Wichita?" It’s a valid question, but it shouldn’t necessarily limit your ambitions or stop you in your tracks. Of course, we all have to look before we leap. But we still have to leap. That leap could lead to failure — but it could also lead to something unprecedented, something that sets the status quo higher than any of us could ever have imagined. Avoiding failure is sometimes the go-to mode for many of us. Some may see operating at a base level without failing as success, but the kind of success that moves a city takes risk. There are many out there in Wichita who are taking that risk. Jeff Lange of Lange Real Estate has taken a risk to rebrand and rejuvenate a largely forgotten part of south Wichita. Janelle King and members of the Douglas Design District have taken a risk to give retailers a place to grow their business. The Wichita Community Foundation took a risk in embarking on Focus Forward. Some of these risks might not pay off, but the ones that do will far outweigh the ones that don’t. If we, as a community, can address the way we look at risk and failure, we can encourage others to try bigger things. "Risk is avoided because we’ve been trained to avoid failure," Godin writes in Poke the Box. "I define anxiety as experiencing failure in advance … and if you have anxiety about initiating a project, then of course you will associate risk with failure." As former Liberian president Ellen Johnson Sirleaf once said, "If your dreams do not scare you, they are not big enough." So what would you do if you knew you wouldn’t fail? Write it down. So you’ve read this article, and perhaps even took it to heart. You have some ideas running around in your head, and you’re ready to unleash them on the world. Now it’s time to hit send — to get involved in a serious way to make these ideas become actions, which can lead to a better Wichita. Depending on your idea, Project Wichita may be the perfect place to start. In its official report and action plan, the project lays out ways to get involved. It could start as easily as sharing this report with your circle. The more people who know about Project Wichita’s findings, the more we can generate consensus and gather a more diverse range of ideas. issues identified in the action plan. The ideas and needs are as varied as people’s skills and passion. solutions to the identified issues. Get involved with a good cause or project, share these ideas with others and help provide input to Project Wichita’s first year and beyond. The plans were built starting with the community discussing our hopes and dreams for the region. Of course, this isn’t the only way to start something. You could also share your ideas with your circle of mentors, friends and family — or share them more publicly on social media. The important part is to start. And as our friend Godin says, "Soon is not as good as now."